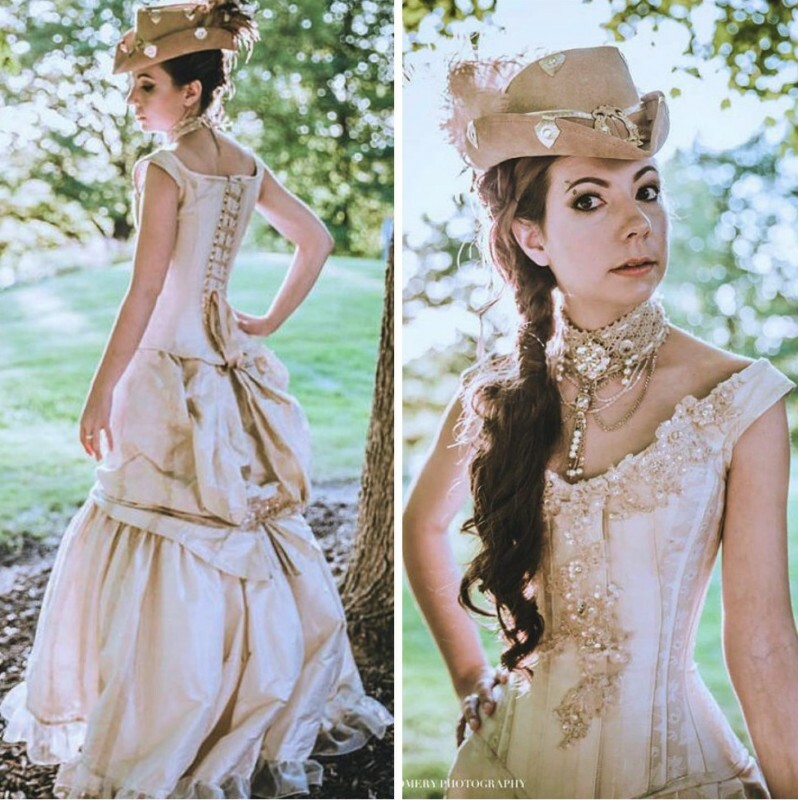 This smart Victorian Walking Dress would make a great base for your Steampunk costume! 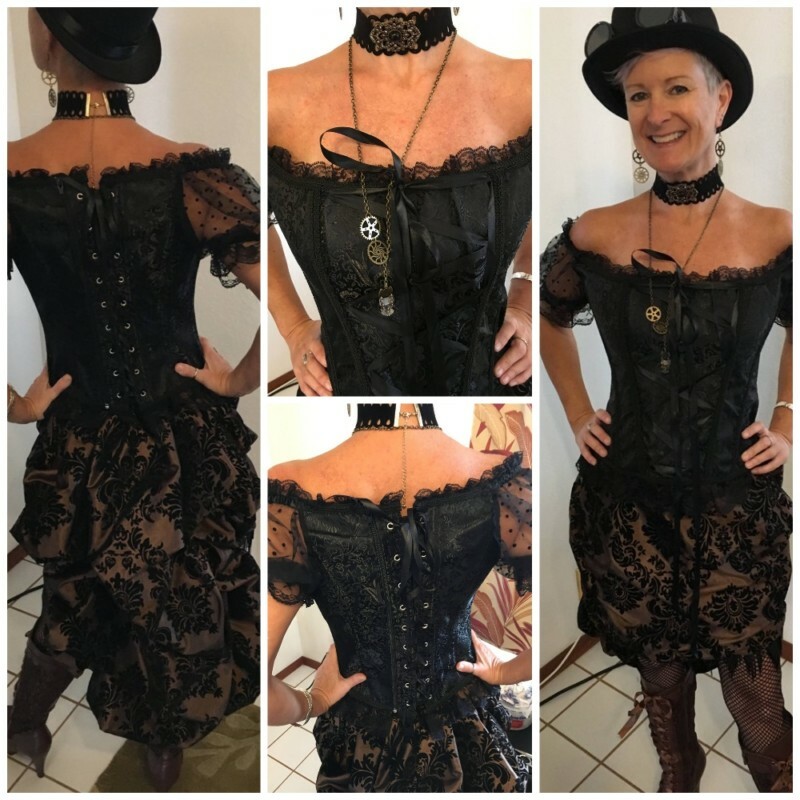 Just add some Steampunk accessories and you’re set to go! 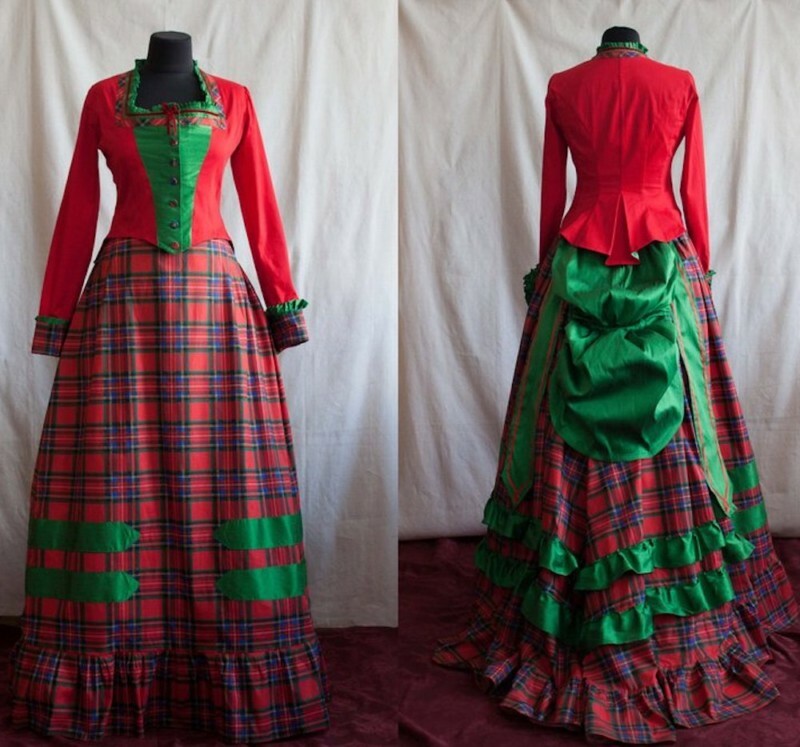 This red and green plaid Victorian dress is made of cotton and taffeta. 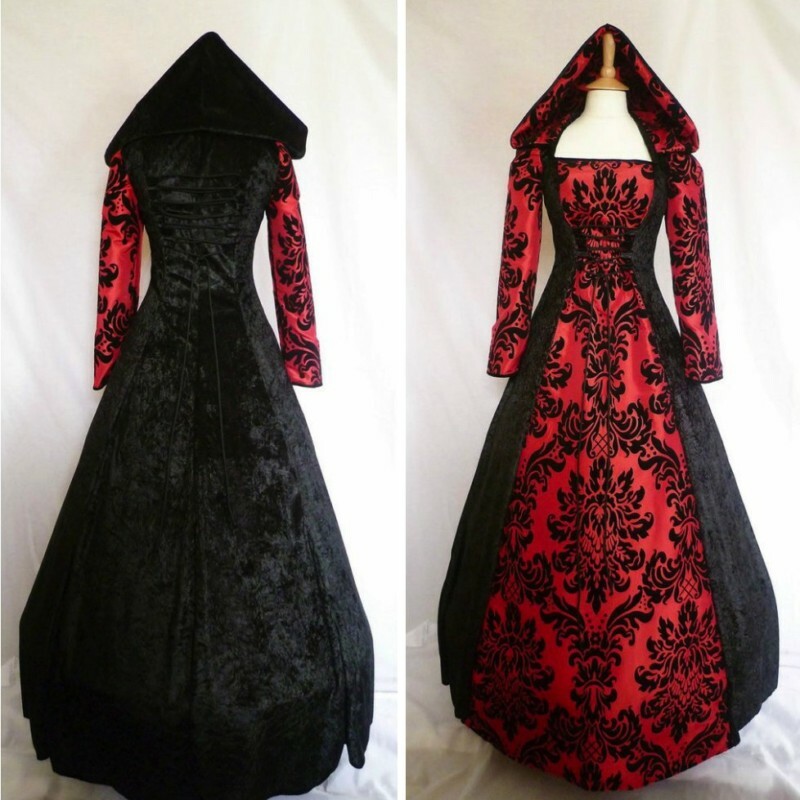 The jacket is a one-layered bodice made of thin costume cotton. The front green panels, as well as other green parts, are made of taffeta. 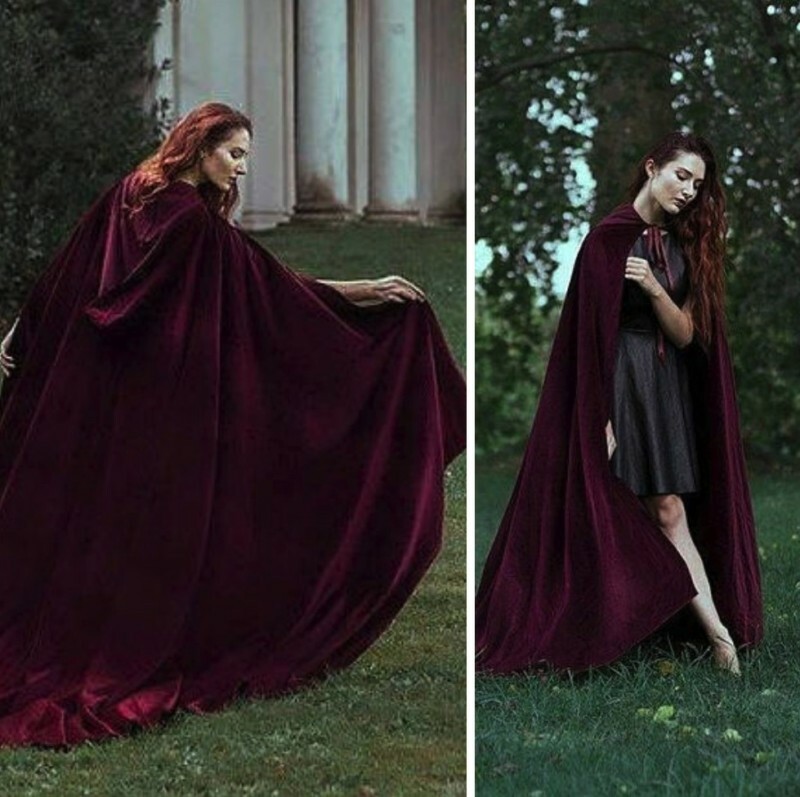 Plaid fabric is thick cotton, draping to straight folds. 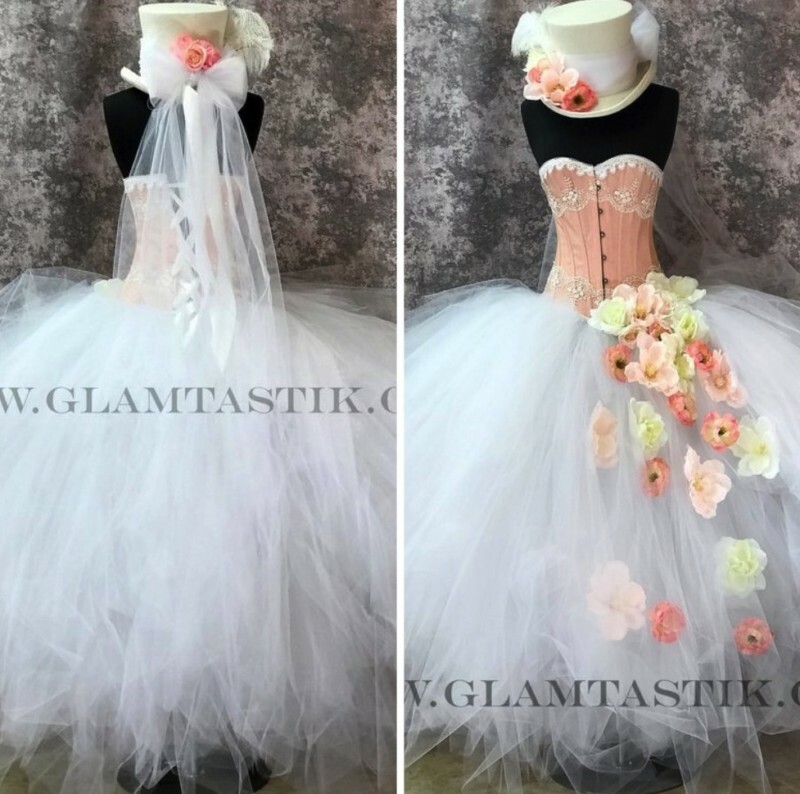 The costume is done to fit historical under garments: chemise, corset, bustle and petticoat, though it will look well without them too. 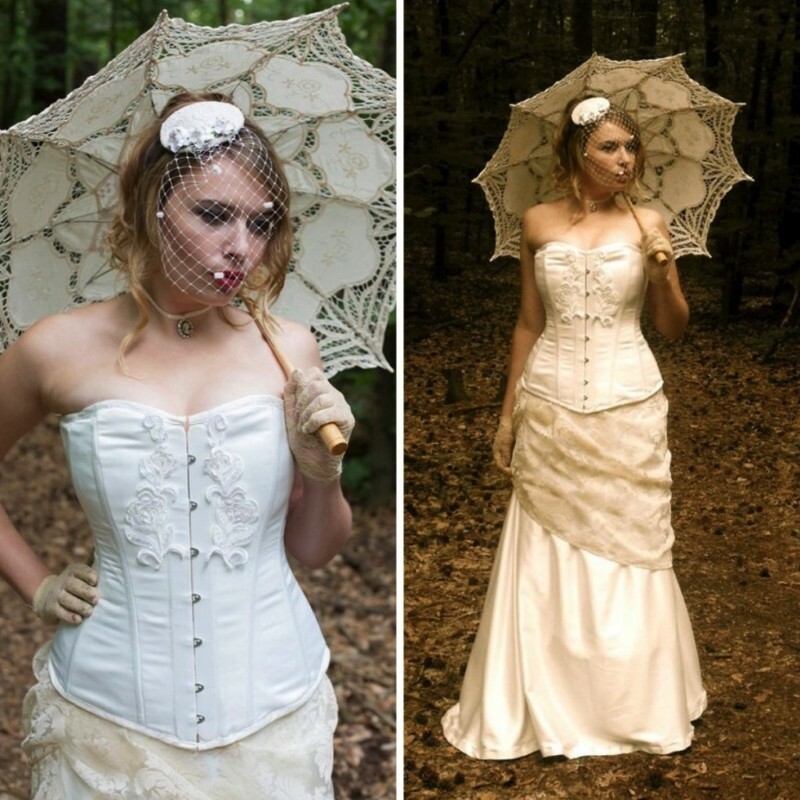 The bodice jacket is closed on front buttons, the skirt closes on button and has a cut on the back seam.